Formerly publisher of the Lewis County Banner and editor of the Black River [Carthage, NY] Budget newspapers, he enrolled 4 August 1861 as First Lieutenant, Company C, 1st New York Artillery. He was promoted to Captain in March 1862 to date from 23 January. Battery C, First New York Light Artillery, was raised in Watertown, Jefferson County, during the latter part of August 1861, under the call for 300,000 men for three years' service. The initiative was taken by Mr. Almont Barnes, a journalist twenty-six years of age, who placed his name first on the roll as a volunteer on August 8th, and who, with the co-operation of ex-Senator John W. Tamblin and friends in near towns, had the required minimum number of men for a company ready before September 1st � On the 5th, an election of officers was held, at which the first place was offered to Mr. Barnes, but he declined in compliment to Mr. Tamblin, who was too old to go into the field; the former was elected unanimously as first lieutenant, and, later, Mr. William S. Cooper was elected second lieutenant � Captain Tamblin resigned and left the service, January 27, 1862, and Lieutenant Barnes, then on recruiting service, was commissioned captain. On April 26th he was assigned to the command of the company, which was soon mounted and received its guns, four 3-inch rifled pieces, known as " Ordnance " guns, being chosen. 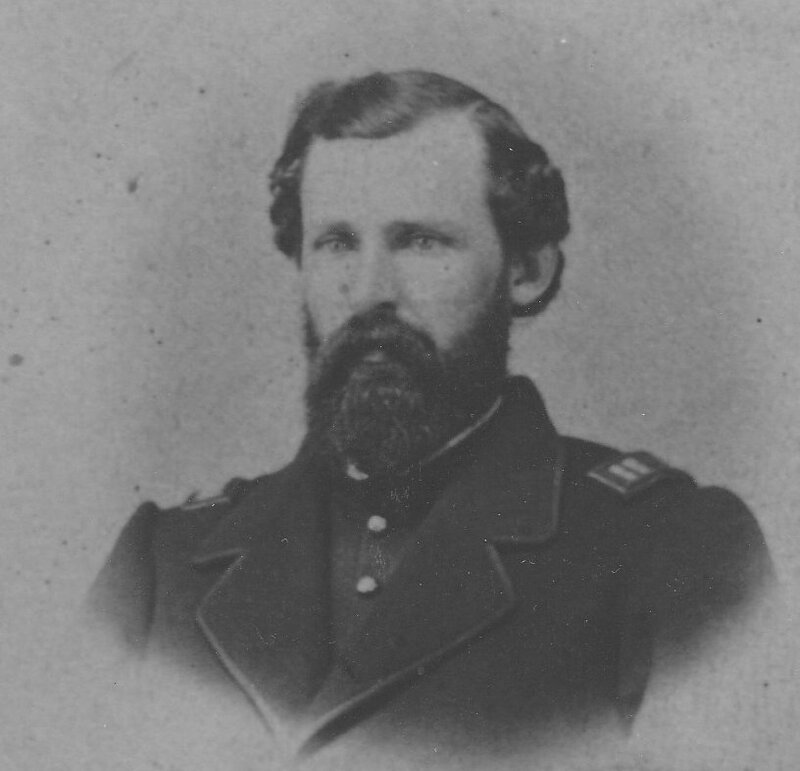 He was in command of the battery at Antietam. He mustered out with his battery on 5 September 1864. He was a journalist with the New York Times, Utica Herald, Iowa State Register, Chicago Press, and other publications, and for three years (1873-76) an enrolling clerk at the US House of Representatives. In 1892, then a member of the US Department of Agriculture's Office of the Statistician, he authored a Report on the Agriculture of South America. He had previously had "long residence" there as US Consul in Venezuela and Curacao. He also published a number of books of poetry and songs (as late as 1905). Service data from the Roster1. The quote above from Final Report on the Battlefield of Gettysburg, New York Monuments Commission for the Battlefields of Gettysburg and Chattanooga (Albany, NY: J.B. Lyon Company, 1902). Life dates from his gravesite at Arlington. Some post-War information from the Papers of Ulysses S Grant. The picture here from a photograph kindly provided by Great Grandson Peter V. Andrews, from a first cousin.